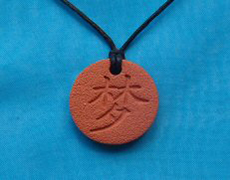 Recently I assisted Lori Gosselin who is a great friend of mine ( She has a powerful, popular blog at Life for Instance ) to migrate Terra Cotta Pendants , a site that she owns. The site sells Pendants which when used with essential oil bring good luck to you. Initially the site was using older technology. The site was to be migrated and I wanted her to move to WordPress based shopping cart system because WordPress is now default standard for content management systems and a shopping cart based on it has its own advantages. It took three months to migrate which is not much considering the challenges that we faced. We got in a team from all around the world. While Lori is in Canada and Beke ( the technical development guy) is from Romania. The site is hosted at Smackhunt.com owned by young entrepreneur, Nishant. I was consultant and advisor to the project, occasionally helping in technical area too. Good communication, team member cooperation, setting up clear roles and boundaries were essential. We managed to deliver project before time. We had quite a few learnings from the project. Though, this was not my first consulting project but it was first of its kind ( since I became an internet entrepreneur ) . It was my first project that was completely done using Facebook Chat communication. Lori and I had everyday meetings on Facebook Video Chat. Soon we moved to having group chat with other team members. It was a project that was coordinated completely on Facebook . Amazing isn’t it? It’s interesting to read the story from your perspective! It was a long and challenging road but one thing I learned is that keeping it simple does solve a lot of problems! You are a great adviser – I’m just glad I knew you and was able to call on you when this whole thing started! It was fun and challenging to work on this project but we enjoyed it thoroughly. Keeping a project simple is essential. Thanks for your compliments. I am always there to help you out :). Previous post: Motivate yourself even when you’re depressed!